I’m just going to say it. The name “Supergoop” does nothing for me. In fact, in the past I’ve been so put off by the name that I simply did not want to try the sunscreen. That all changed last weekend. 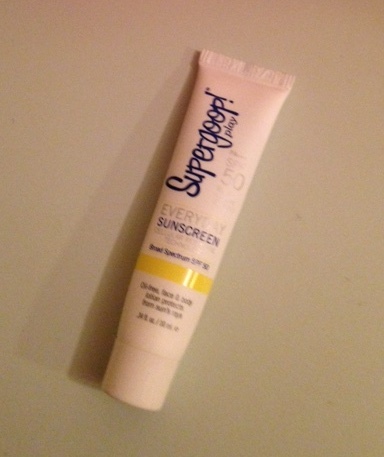 Having been quite literally burned by an ineffective sunscreen earlier this summer, I turned to this little tube in hopes of making it through the holiday weekend without being scorched by the sun. I slathered it on and headed out for a weekend of sunning and swimming. First things first: it felt good. It absorbed quickly, wasn’t greasy and left my skin feeling nice and smooth. It also had a mild, citrusy scent that I liked a lot. Other than those two initial observations, I didn’t think about this product at all until I realized, after two sunny days spent largely outside, that I didn’t have the faintest hint of a sunburn and my skin looked and felt great. 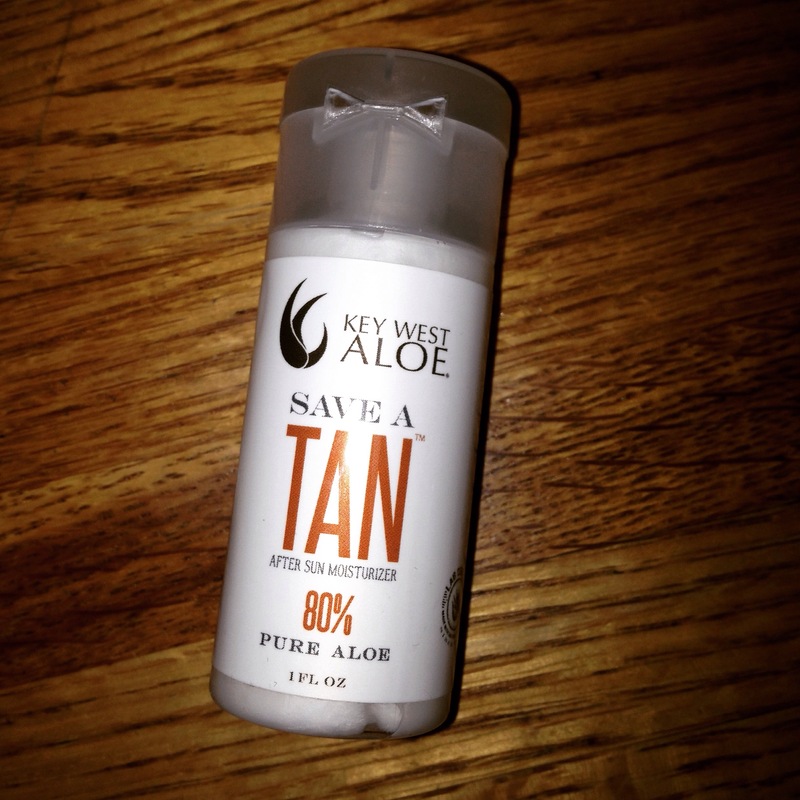 It’s a fantastic sunscreen, and I only wish there was more in my sample – this stuff is expensive! 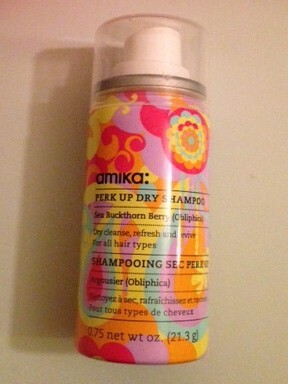 Runner Up: Amika Perk Up Dry Shampoo. I’m a real tough customer when it comes to dry shampoos, but I was instantly impressed by this one. I really love the scent, which is feminine and clean, and it’s super easy to use. You simply spray at your roots and then massage it in; within seconds it adds volume and removes oil, leaving clean, weightless hair. My one complaint is that these results only last a couple of hours – you’ll want to bring it with you for touchups! 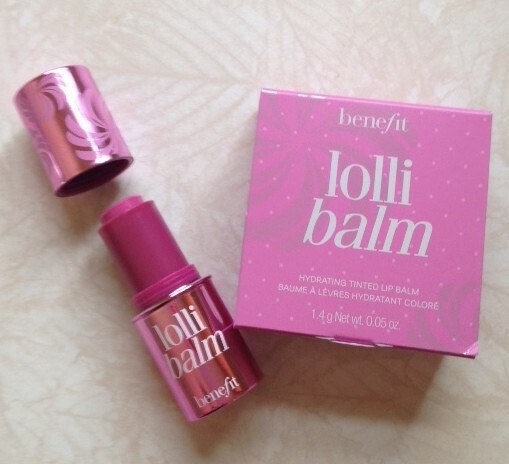 Benefit’s Lollibalm has been at the very top of my must-try list for quite some time, so I was absolutely delighted to find a mini tube of this hydrating balm in my May Birchbox. I was even more delighted when I put it on; its smooth, creamy texture feels heavenly, and the sheer pink-purple shade is incredibly pretty and flattering. The balm is long lasting and moisturizing. Another plus: the cap stays put, so I can just throw it in my bag without worrying about lip balm smears getting all over everything in my purse (a lip balm pet peeve of mine). 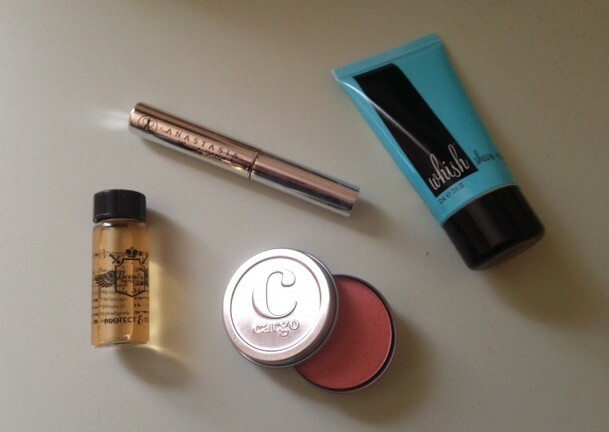 In short, Lollibalm did not disappoint and was definitely my top pick from this month’s box. 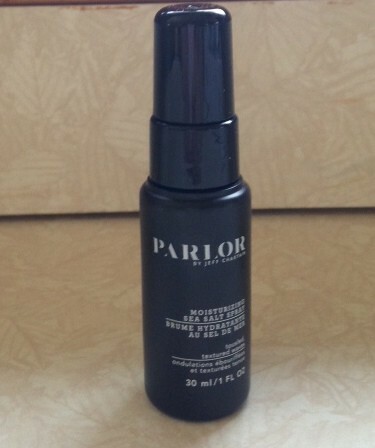 Runner Up: I’m rather surprised to report that my second favorite product in the May Birchbox was Parlor by Jeff Chastain Moisturizing Sea Salt Spray. My past experiences with texturizing sprays like this one have always been wildly disappointing; my dreams of easy, pretty, surfer-girl waves have always been dashed by the reality of limp, crunchy hair that looks like it hasn’t been washed. I was so sure that this product wouldn’t work that I almost didn’t even try it. Then last week, running late one morning, I decided that I’d save myself a few minutes of hair drying time and give this spray I try. I combed out my hair, spritzed it all over with the salt spray, then used my fingers to scrunch it up and ran out the door. Much to my surprise, by the time I arrived at work 30 minutes later, my hair had fallen into spiraled, beachy waves. While I think I look best with straighter hair, I was definitely impressed with this product. My one complaint, which is my complaint with all hair products that come in a spray, is that it’s difficult to distribute the product evenly throughout your hair. One side of my head had much more defined waves than the other, and I have no idea if that side had more or less product. Other than that, I’d say this salt spray is a definite winner in the battle of beachy hair products. This month Birchbox partnered with the incredibly stylish and addictive show Mad Men to create a special box inspired by the memorable and covetable looks of the show. 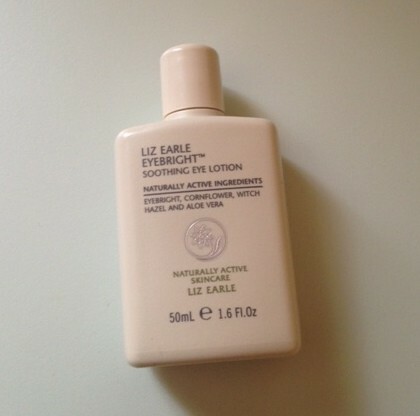 While this was a five star box overall, there was one product that stood out to me as the most impressive: Liz Earle Eyebright Soothing Eye Lotion. This cooling liquid, made from a variety of skin soothing botanicals, is my new morning best friend. Whenever I wake up with tired, puffy eyes – and don’t have time for my usual morning walk – I simply pour a little of this on a cotton pad, hold it over each eye for approximately 5 seconds, and then go about my normal beauty routine. The cooling sensation of the lotion starts soothing instantly, and within 20 minutes my eyes are completely de-puffed. It hasn’t bothered my sensitive eyes at all. If you’re prone to puffy eyes, this product is a must-have. Anastasia Beverly Hills Clear Brow Gel: I’ve never used brow gel, so I was excited to try this one. It kept my brows in place all day without any sticky or flaky residue, and added a little extra polish to my day. A word of caution: brow gel highlights your brows, and that includes any errant hairs. You’ll want to make sure you’re brows are well-groomed before you swipe this on! Beauty Protector Protect & Oil: This hair oil protects against UV rays and heat styling. It also made my hair silky smooth and frizz free. My new favorite hair product! Cargo Swimmables Water Resistant Blush in Los Cabos: This pretty peachy blush is universally flattering. The powder goes on streak-free, and can be layered for more or less pigment. Once on, it won’t budge until you wash it off – mine lasted all day, through rain and workouts. Whish Shave Crave Shaving Cream in Blueberry: This unique shave cream makes for a lovely shaving experience. It doesn’t foam up like traditional shave gels, which means it won’t clog up your razor and makes shaving quick and easy. It also does an exceptional job of moisturizing skin – no itchy razor burn here! The secret to lovely winter skin. As you may remember, I received a Birchbox this month for the first time in over a year. To celebrate the return of the beauty subscription, I’ve decided to give a monthly shout out to the best new find (or finds). 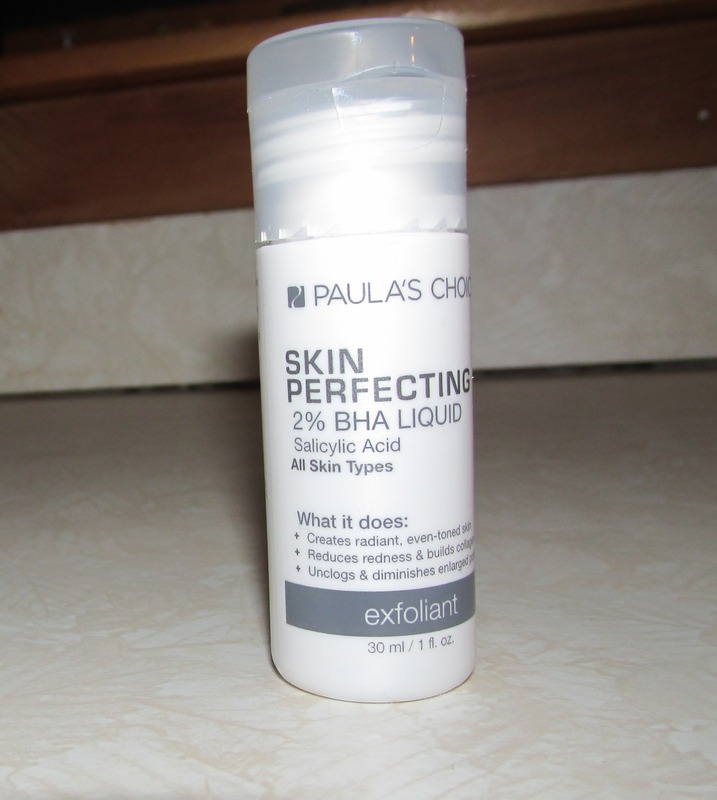 This month I had a really great selection of items, but there was one real standout product: Paula’s Choice Skin Perfecting 2% BHA Liquid. This mild exfoliant says it’s good for all skin types, and as someone with sensitive skin, I’m typically weary of that. However, after reading copious reviews on the Birchbox website, I was convinced that it was gentle enough to give it a try. I’m so glad I did! The product claims to even skin tone, reduce redness, build collagen and unclog pores. It can be used once or twice a day, after cleansing and before moisturizing. I simply pour some on a cotton pad and swipe it on during my nightly cleansing routine. I have to say, I am blown away by this product! It didn’t aggravate my skin at all – in fact, while my skin was in the height of winter craziness, this product calmed it down! After one day my skin looked less blotchy and had fewer dry patches. After my second use, the flaky patches were completely gone and my skin felt super smooth. On day three my skin looked more even and felt better than it had in months. There’s no going back for me; this little skin saver is going into my arsenal forever! 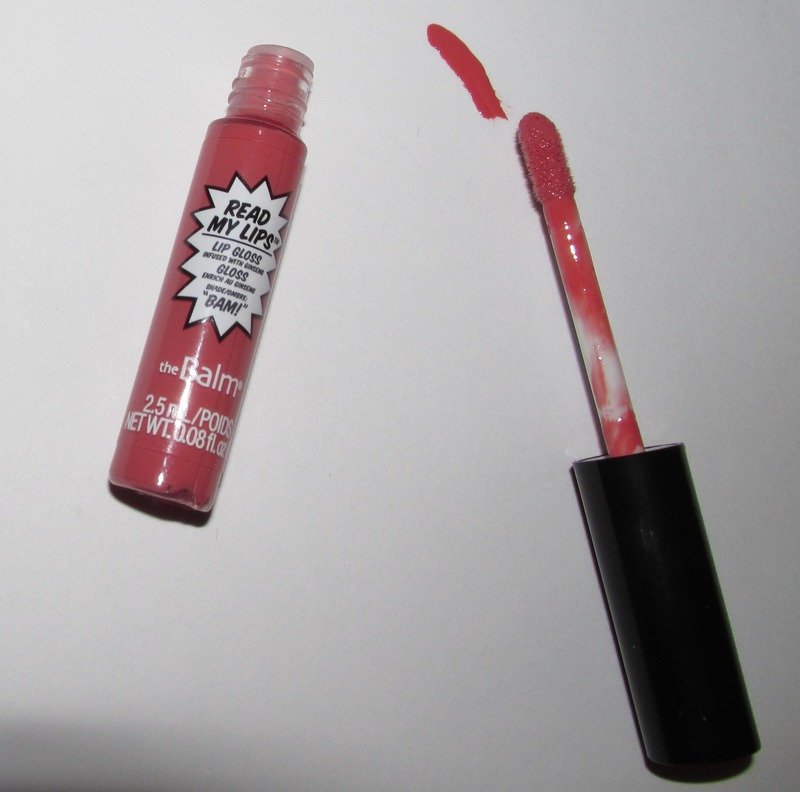 Runner Up: There was another new product definitely worth mentioning in my February Birchbox – The Balm Read My Lips Lip Gloss in BAM! This a creamy, shiny gloss with sort of a liquid lipstick type of feel to it. 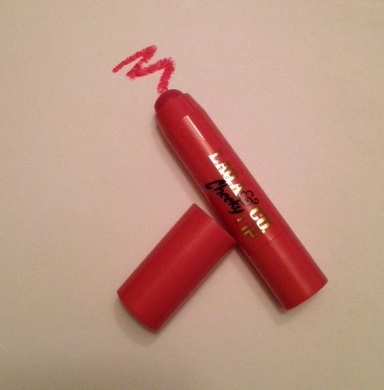 It’s super long lasting and this shade, a rosy pink, is very pretty and feminine. I’m loving it as a weekday lip gloss – perfect for the office!